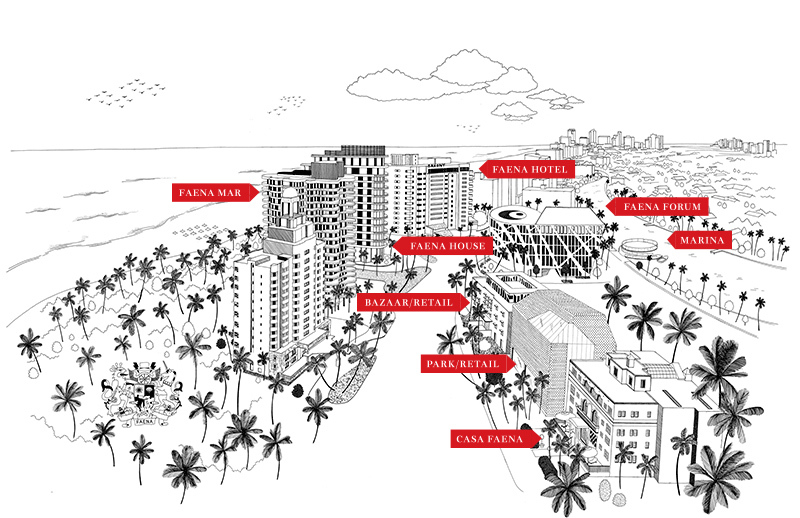 The 41 residences designed by Brandon Haw are located on the beach at 34th Street and Collins Avenue in the heart of Miami’s most highly anticipated destination, the Faena District which features a perfect balance of exquisite residences, the uniquely luxurious Faena Hotel, innovative and immersive entertainment, destination shopping, as well as the remarkable Faena Forum—all by award-winning architects and designers: Foster + Partners, Rem Koolhaas/OMA, Bazmark, Studio Sofield and Raymond Jungles. 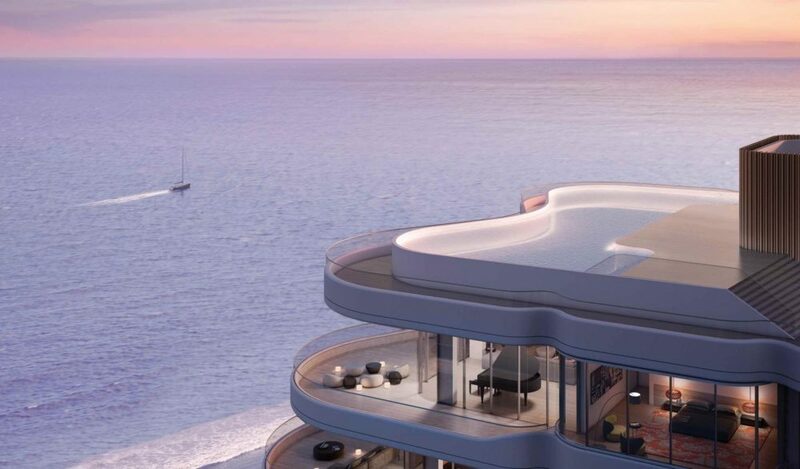 Faena Mar has been designed to maximize views to the ocean, the bay and the Miami skyline, articulated by large sweeping terraces east and west—an abstraction of Roy F. France’s curved corners and rippling facades of the Classic building. As with a beautiful automobile or the human form, the building reveals itself both from afar and at the detail level. 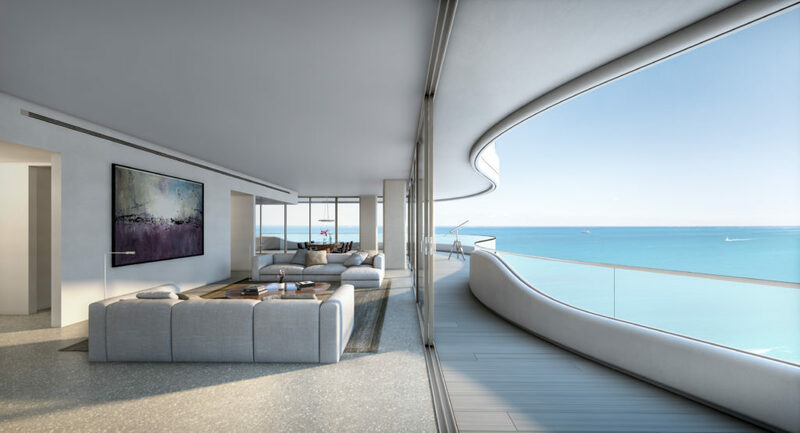 Curved-corner windows give a softness to the experience of interior living while revealing panoramas of the ocean and city. 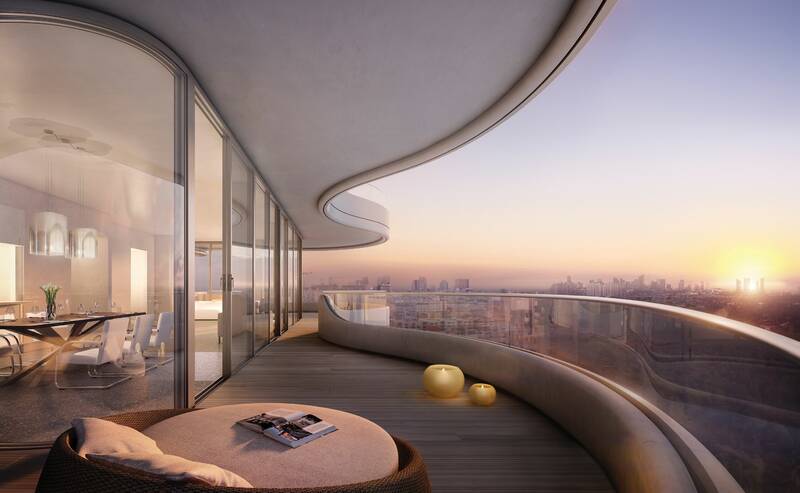 The curving sinuous balcony edges that wind around the building, rising and falling at strategic points, add a rhythmic modulation and richness to the form. 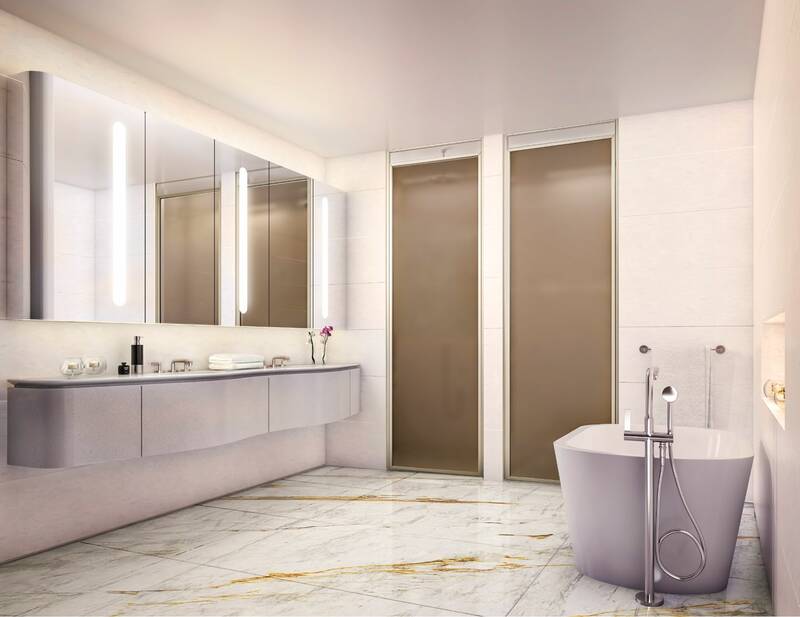 Very much designed with proportion and scale in mind, the planning of the interior spaces dictated the rhythm of the expression found when looking at the building from the outside—an almost jazz-like composition results. Brandon Haw was a senior partner of the internationally renowned architectural practice, Foster+Partners. 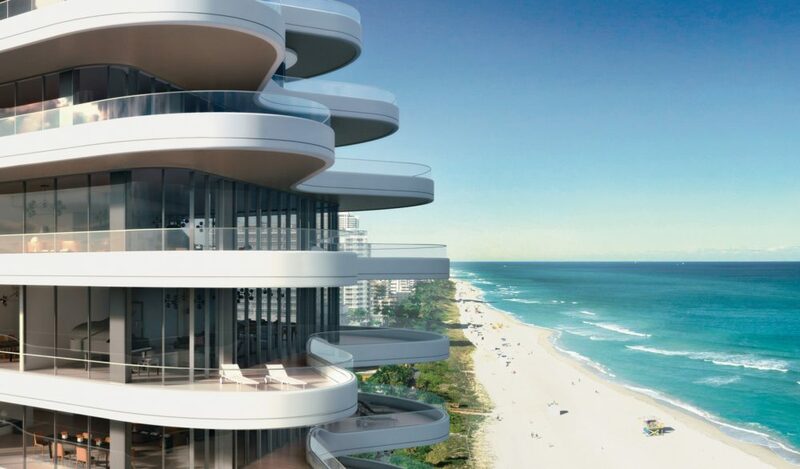 During his 26 years with the firm, he was responsible for many award-winning projects around the world including the Commerzbank headquarters building in Frankfurt Germany; the Hearst Tower in New York and numerous residential and office developments from Buenos Aires to London and New York including, most recently, Faena House in Miami. With a firm belief that good design can change people’s lives for the better, and that every designer carries with them the responsibility to not only create designs that function well but also lift the spirit, Haw decided to go independent in 2014 to set up his own practice, Brandon Haw Architecture, in Mies van der Rohe’s classic Seagram Building in New York. Haw has lectured internationally on the topic of cities and urbanism. He was educated in London where he received his bachelor’s degree in Architecture at the Bartlett School and later at Princeton University in the United States, where he gained his Master’s Degree. 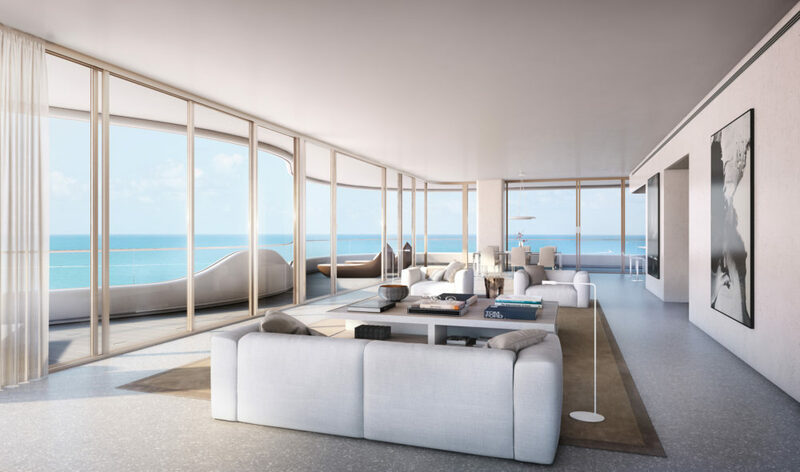 Founded by Alan Faena, Faena Group specializes in the creation of one-of-a-kind holistic environments anchored in cultural experiences and socially responsible projects that integrate residences and hotels with art and cultural spaces. 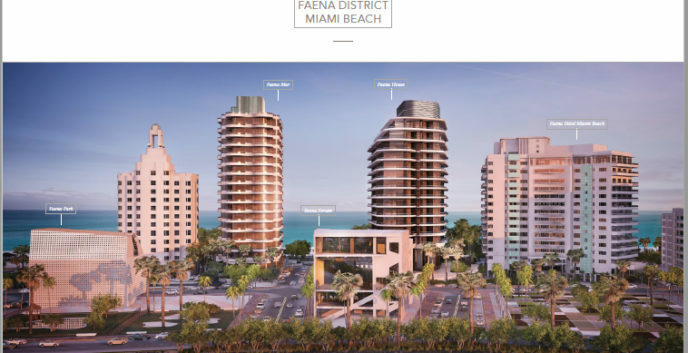 Faena Group is rooted in ideas and concepts that have the power to reshape and enhance our world. All of its projects are destination landmarks that inspire original thinking and cultural interaction.